Roof Raking is the removal of three to four feet of snow from the gutter line up the roof. For every six inches of snowfall, you should have the roof raked. 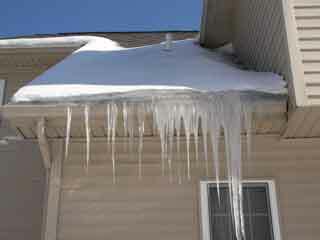 This aids in the prevention of Ice Dams and potential damage to your roof and home. ice from the roof protecting your home from further damage. 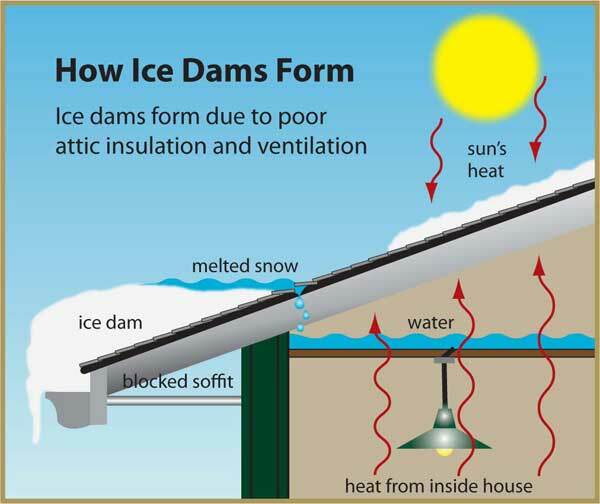 An Ice Dam is an ice build-up on the roof which may cause water damage to the home. 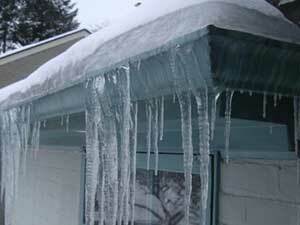 Ice Dams can lead to electrical fires, mold or even roof collapses. 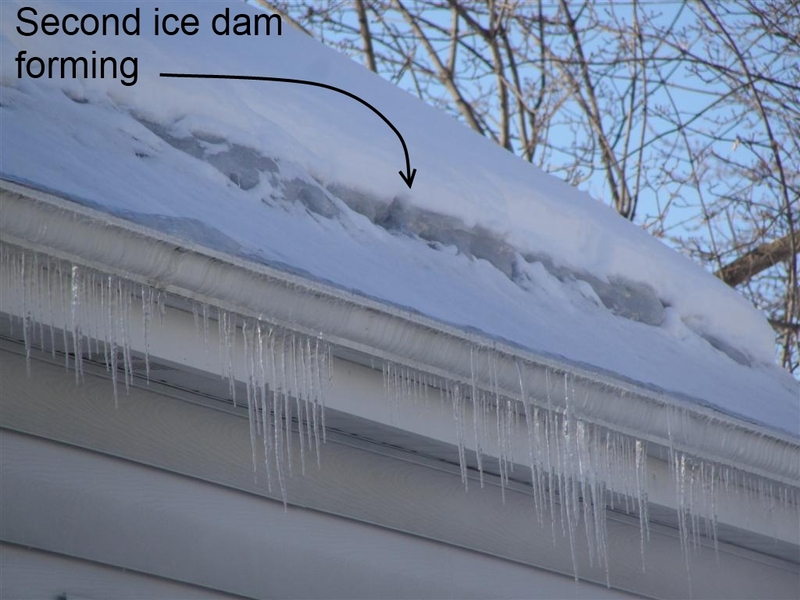 Business and home owners can tell they are looking at an ice dam when they see ice on their roof. 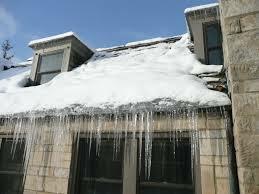 Many times ice dams have icicles coming down off the roof and gutters. 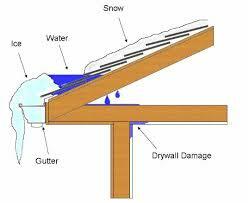 Ice Dams occur with a lot of snow fall and freezing temperatures. Poorly insulated attics that melt the snow on your roof, which then refreezes into ice. Heavy/wet snow which is partly melted, so once it lands on your roof and the temperature drops, it becomes ice. Temperatures that fluctuate from warm days to frigid nights, causing the snow that melted during the day to freeze over at night. Clogged roof vents. 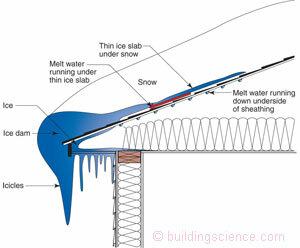 This causes the roof deck to become hot and melt snow, which refreezes, and becomes an ice dam. All County Window Cleaning uses a low pressured ice dam steamer to remove the ice. Steamers are expensive, specialized machines and are used only for ice removal. The diesel-powered steamers tap into your outside water source and heats it to 300 degrees. The steam is forced through a delivery hose and wand where it is focused into a thin, low-pressure column used to cut through ice. We do not melt the ice bit by bit. We cut the ice into chunks which makes the process faster. It is impossible to determine the duration of the ice dam removal. We must remove the snow first and the severity of the ice will determine the amount of time it takes to be removed. How to Prepare for Us? When we arrive to your home/business the outside water source MUST be turned on and not frozen. We will need access to an electrical outlet. We come ready to work. We’d love to chat but can not, so please be respectful of our time. Why Get Roof Raking/Ice Dam Removal? 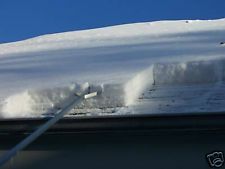 Roof Raking removes snow that will potentially melt and refreeze into an ice dam. This process is less expensive and less labor intensive than ice dam removal. 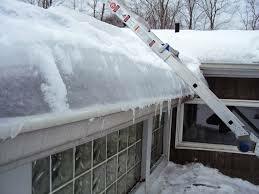 Ice dams should be removed before leaks occur in the home. The longer you wait, the more risk you have of damage and increase in cost for removal. The last thing you need is water leaking, potential electrical fires, mold or a roof collapse. Why choose All County Window Cleaning? All County Window Cleaning’s main priority is safety for all parties involved. We protect everyone as well as your assets by following a very strict safety program. By using steam to remove ice dams, it is a much safer process for everyone.